Western Trade Wings Pvt. Ltd. 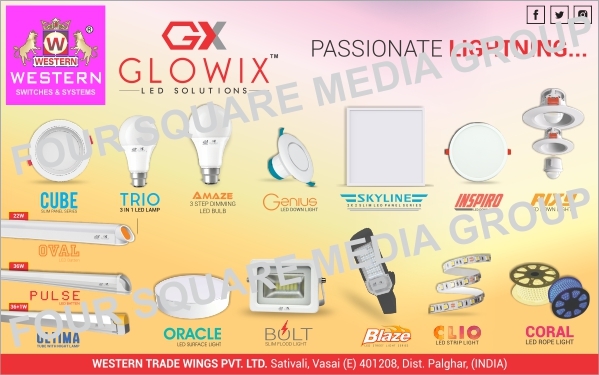 Led Lights, Led Bulbs, Panel Lights, Down Lights, Tube Lights, Surface Lights, Slim Flood Lights, Strip Lights, Rope Lights, Led Lamps as an active Manufacturer, Supplier, Dealer, Distributor, Trader and Seller etc. (*Importer/Exporter/Service Provider).